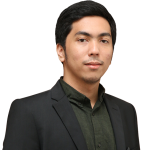 Mekhdi is an analyst at BGA Indonesia. He specializes in agriculture, manufacturing, and the digital economy. Mekhdi assists clients in conducting comprehensive industry research that provides key stakeholder maps to identify who wields key influence in particular sectors and over specific regulations. His expertise is in economic and regulatory analysis, government relations and strategic planning. Mekhdi’s extensive networks with national government, industry associations and academia assists clients in advancing their policy and commercial objectives. Prior to joining BGA, Mekhdi was an analyst at PT Independent Research and Advisory Indonesia (IRAI), where he supported the Coordinating Ministry of Economic Affairs through in-depth industry analysis and technical assistance necessary to formulate policy and regulations. Earlier Mekhdi was an analyst in Unlimited Insights & Co., an Indonesian market research firm. Mekhdi is experienced in designing government policy roadmaps, in particular in vocational education, the Indonesian coffee industry, and e-commerce. Mekhdi holds a master’s degree in international economics and business from Erasmus University, Rotterdam and a bachelor degree in international business and management from the University of Groningen and University of Indonesia.